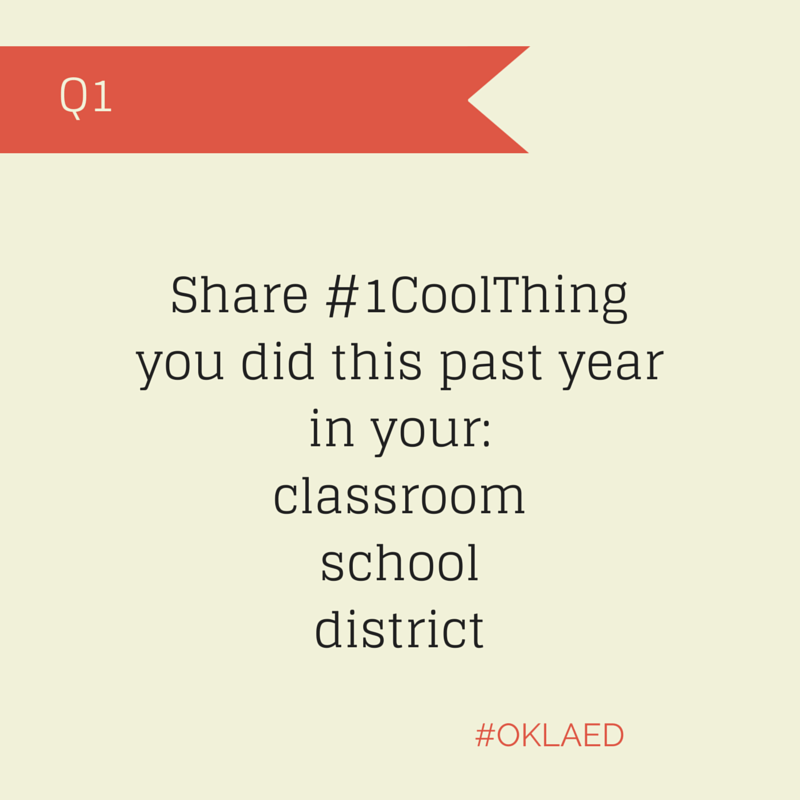 You are here: Home › #oklaed › #1CoolThing Can Make a Big Difference! #1CoolThing Can Make a Big Difference! 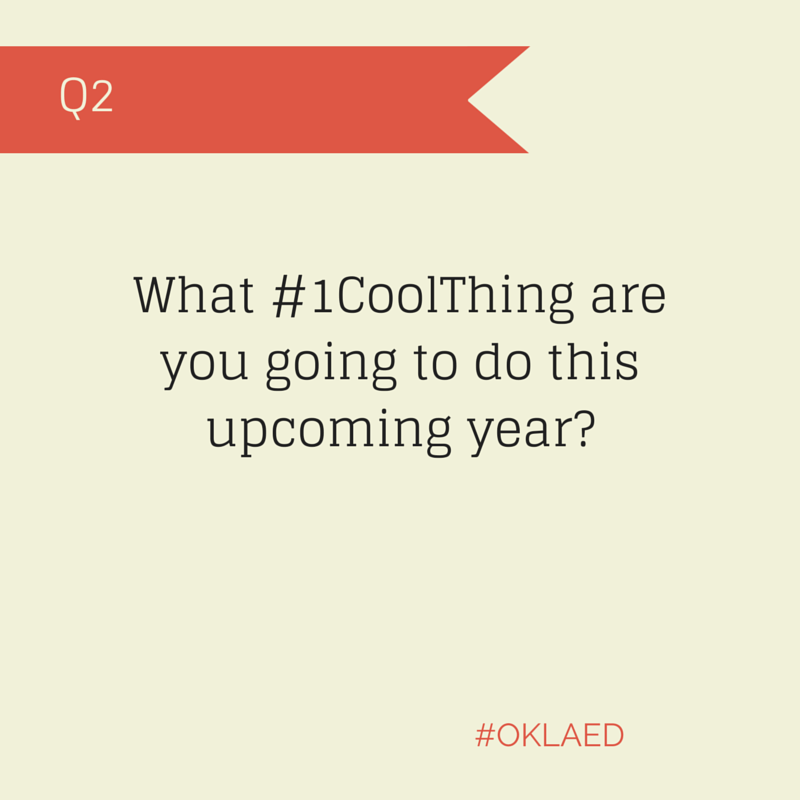 Coming up for tonight’s #OklaEd chat is the topic of #1CoolThing and I want you to have time to process the questions and brag (tonight its OK!!) about what you did last year! Take this opportunity to share the totally #amazeballs things that you do in your classrooms/schools/districts! 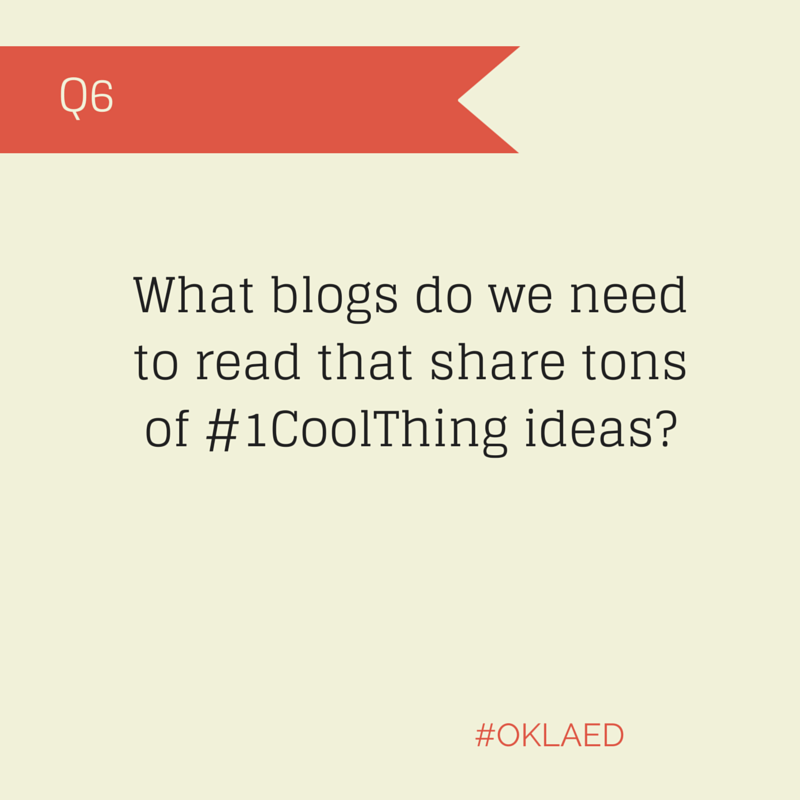 If you are unfamiliar with #1CoolThing please read a past blog post here or the very well edited EdSurge article here. We often feel like we have been forced into boxes that we cannot escape from. #1CoolThing is your escape! It gives you freedom! It tears down the walls! Nothing will be able to contain your #awesomesauce! Tonight is an opportunity to pour into each other! To trade ideas! To think about places we have always wanted to go, but were to afraid to visit! Use the collected wisdom of our experiences and make next year the best year ever! I don’t have anything that people would want to hear. Yes You Do! You are amazing!! Share what you do with us so that we can get better!! I don’t have time to mess with setting one up. Develop your blog this summer. Block off a couple of hours (or less) of time and set one up. I happen to like WordPress – it grows with me and allows me to do just what I need to do. I don’t have time to blog – I teach. If you teach, you also reflect. When you reflect, you take notes. When you take notes, blog them. We all learn from this! We may even be able to help each other. Teachers love to share and give ideas to other teachers. Maybe you are having a problem with a particular lesson – blog about it. You will get the nudge you need to make that lesson perfect! I hope that you start working your own blog. It could be will be one of the best things you have ever done. When you do start your blog up, please post it in the comments and share it with us! 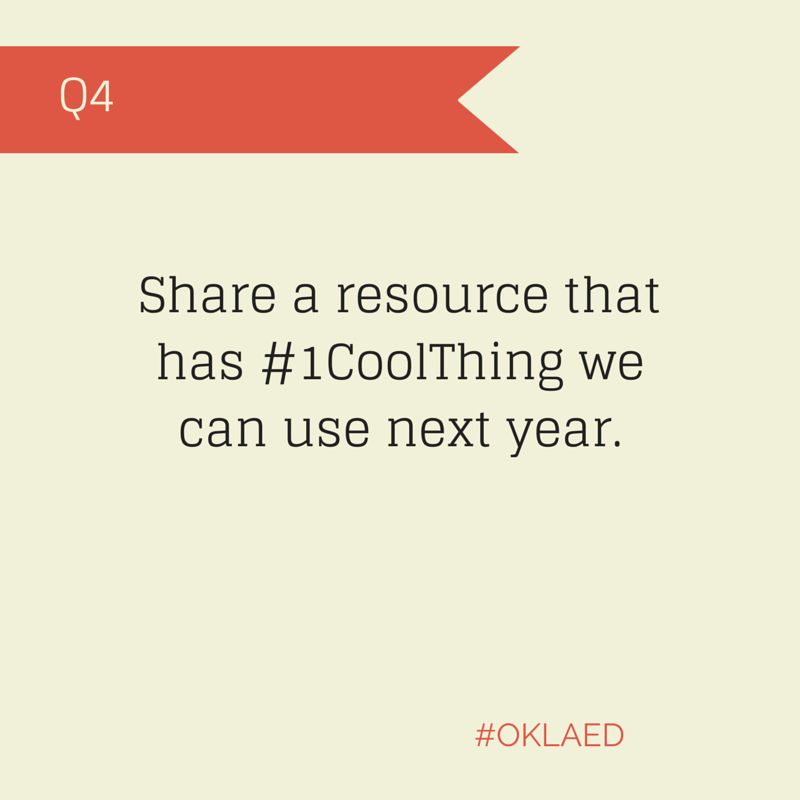 Don’t forget to post your #amazeballs #1CoolThing ideas all year long in any social media – be sure to add a picture if possible! Then head over to Tagboard and get a great visual! 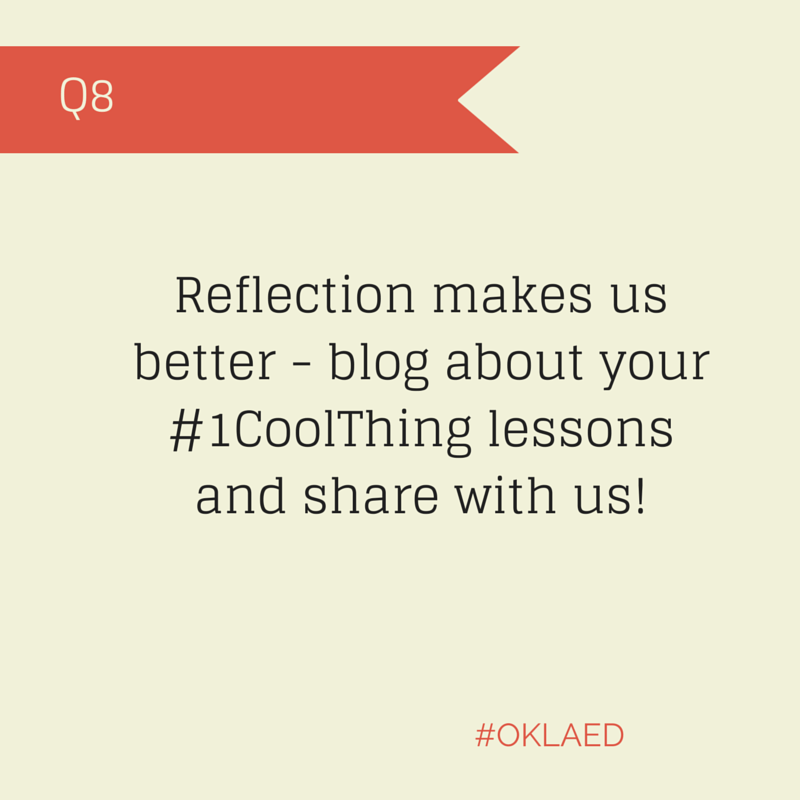 2 Responses to "#1CoolThing Can Make a Big Difference!" Looking forward to tonight’s #oklaed chat!! Not in the classroom as you know – but I think I might have a few thoughts to share. 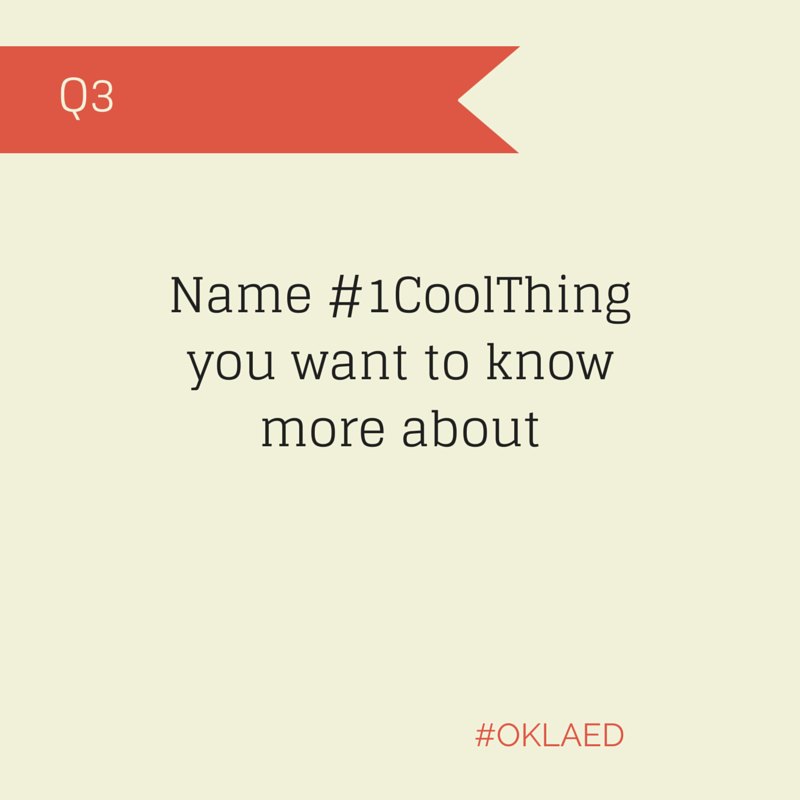 And #1coolthing is something for me to consider for sure!!! You usually have really good things for me to consider! I can’t wait to see what your thoughts are!